Do You Need Car Storage….we have the solutions. Having trouble finding car storage or any type of vehicle storage in Australia? We have the solution for you! Roadways Removals has possibly the largest storage facility on the Sunshine Coast and we cater for all types of storage requirements. Whether you require it to be inside or just on our secure hardstand, we can accommodate for all of your vehicle storage requirements, so you can relax and be sure that your goods are in safe hands. We also have container storage if you have your own container or you would like to use one of our containers. We have specialised Furniture Storage units in our Tewantin Removals depot, Sunshine Coast which can store your furniture for any number of days as per your requirements. We can also provide mattress, chair and longue covers and a range of moving boxes. Our storage units bring you the chance to unburden yourself from the worries of your belongings while you wholly concentrate on what it is that you need to. 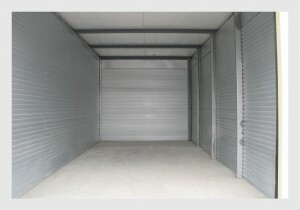 For all your car storage & vehicle storage Australia wide, contact Roadways Removals.